We are a Rochester sticker, label and decal printing company offering professional design and high-quality printing of bumper stickers, vinyl stickers, return address and shipping labels, vinyl window lettering and other custom decals. 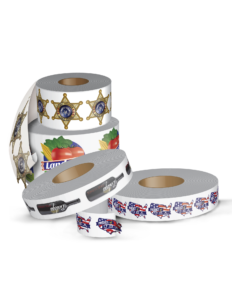 Whether you’re looking for paper roll labels or vinyl, weatherproof stickers, we’re the high-quality, low cost sticker solution printer for Rochester businesses. Special Shapes: starburst, octagon, triangle, heart, award ribbon, badges, anniversary label, etc. Label sheets for laser or inkjet printers – we have labels that run flawlessly through them! 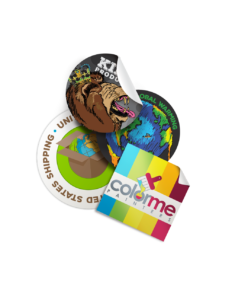 We can create stickers of any size and quantity. Contact us for more information about how we can assist you with your sticker needs. We have created stickers for customers to cover up old contact information and display new information on company literature, stationery and marketing materials. We can create stickers that you stick onto customer bills or marketing materials that promote and call-to-attention a special sale, limited time offer, new location, and so on – the applications are limitless.